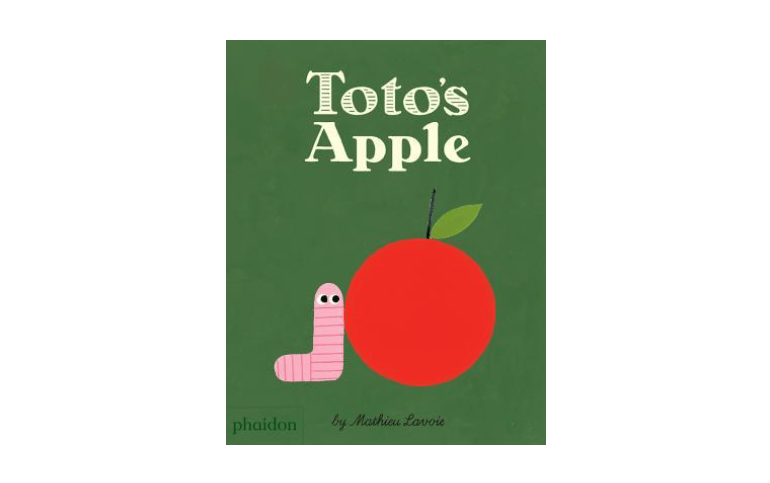 I learn so much from reading non-fiction picture books, and of course I’m sure kids do too! They give insight into historical figures and events, into the way people have solved problems and overcome incredible odds to follow a dream or to fight for justice, into the way dreamers and doers are formed. With a new school year having started, I couldn’t help but think about a list of some recent favorites— standouts and truly terrific true stories. Here goes! Radiant Child: The Story of Young Artist Jean-Michel Basquiat by Javaka Steptoe. Freedom in Congo Square by Carole Boston Weatherford and R. Gregory Christie. Congo Square was the only place enslaved (and free) Africans were allowed to meet together in New Orleans in the 1800s, a place where they played music, danced, and shared news. It embodied the hope of freedom and both the succinct, powerful prose and evocative illustrations truly capture that. I Dissent: Ruth Bader Ginsburg Makes Her Mark written by Debbie Levy, illustrations by Elizabeth Baddeley. 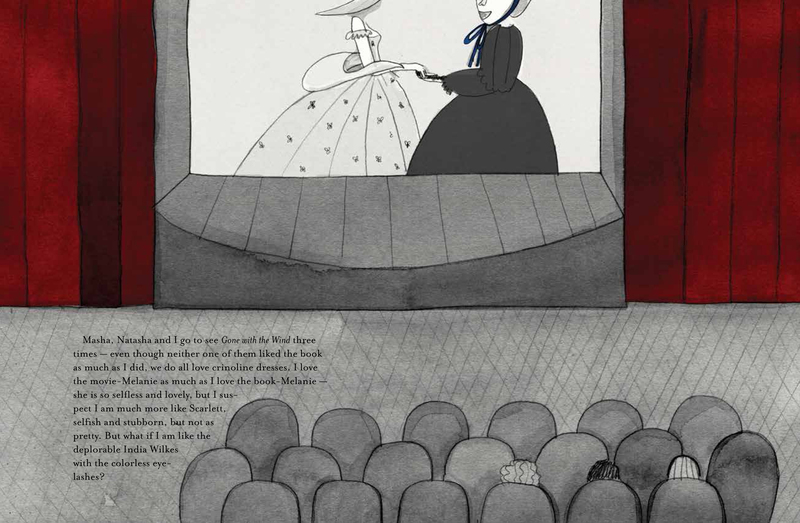 A boldly designed picture book about a bold person whose journey started at the library! Whoosh! : Lonnie Johnson’s Super-Soaking Stream of Inventions by Chris Barton, illustrated by Don Tate. 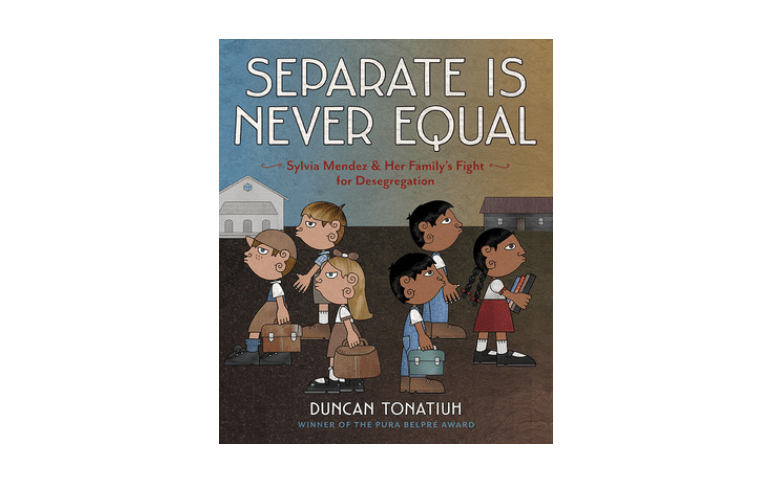 Separate is Never Equal by Duncan Tonatiuh. Another excellent book, this one documenting the case of Mendez vs. Westminster School District—Sylvia Mendez and her family’s fight to desegregate schools in California. Plus, I’m a big fan of Duncan Tonatiuh’s artwork (stay tuned!). Crossing Bok Chito: A Choctaw Tale of Friendship & Freedom by Tim Tingle, illustrated by Jeanne Rorex Bridges. An emotional story with stunning artwork of a Choctaw girl in the 1800s who befriends a little boy who’s a slave and then her family helps his escape to freedom. Drum Dream Girl: How One Girl’s Courage Changed Music by Margarita Engle and Rafael López. This one is inspired by the true story of Millo Castro Zaldarriaga who dreamed of drumming in Cuba despite gender restrictions and eventually had an all girls band with her sisters and became a famous musician. 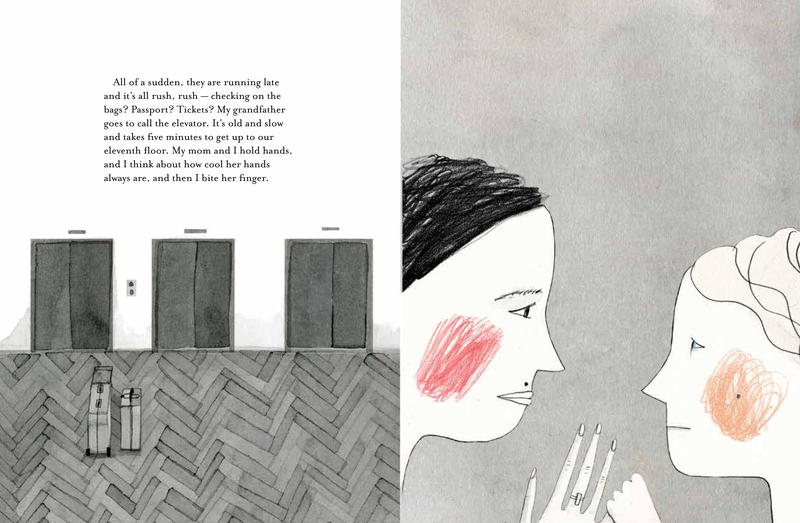 The dreamiest text and illustrations. 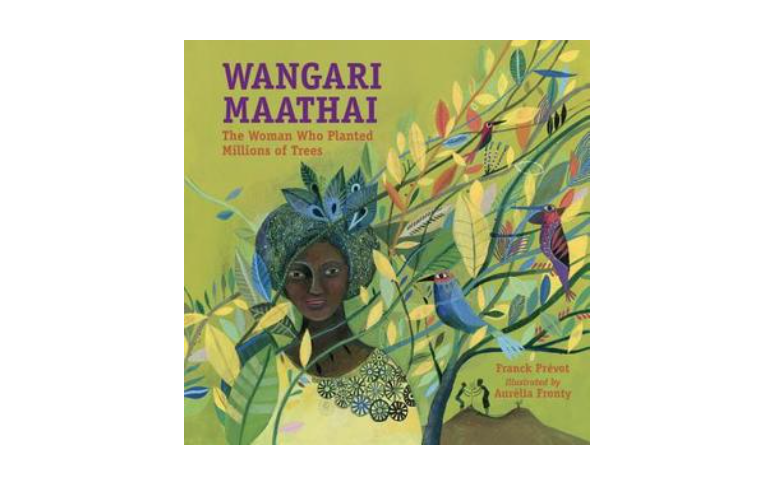 Wangari Masthai: The Woman Who Planted Millions of Trees by Frank Prévot, illustrated by Aurélia Fronty. Take a Picture of Me, James Van der Zee by Andrea Loney, illustrated by Keith Mallett. A wonderful exploration of the life of photographer James Van Der Zee and the Harlem Renaissance as well as the way history shapes lives and lives shape history. The Wolves of Currumpaw by William Grill. A gripping tale of a legendary wolf and a man who had the capacity for change. A book for budding conservationists. Her Right Foot by Dave Eggers, art by Shawn Harris. With the Statue of Liberty as its subject, this one contains facts and laughs and cries and an important message about making the U.S. a welcoming place. The Book Itch by Vaunda Micheaux Nelson, illustrated by R. Gregory Christie. Terrific in every way, this story of the National Memorial African Bookstore is also illustrated by a frequent appearer on this list—the talented R. Gregory Christie. Are You an Echo? : The Lost Poetry of Misuzu Kaneko by David Jacobson, Sally Ito, and Michiko Tsuboi, illustrated by Toshikado Hajiri. This is a poignant biography of a Japanese poet, followed by her poems. A wonderful (and honest) book. A Time to Act: John F. Kennedy’s Big Speech by Shana Corey and R. Gregory Christie. Tiny Stitches: The Life of Medical Pioneer Vivien Thomas by Gwendolyn Hooks, illustrated by Colin Bootman. A story everyone should know about Vivien Thomas, a research assistant who developed a procedure to give children open heart surgery in the 1940s, but who was not credited because he was African American. This book recognizes his struggles and celebrates his contribution, as we should. Cloth Lullaby: The Woven Life of Louise Bourgeois, words by Amy Novensky, pictures by Isabelle Arsenault. A biography of the artist, Louise Bourgeois, whose life was like a cloth lullaby, woven together with the threads of her childhood, her mother, their family tapestry business, Parisian fabrics, memory, and stitching itself. Emmanuel’s Dream: The True Story of Emmanuel Ofosu Yeboah by Laurie Ann Thompson & Sean Qualls. The story of a boy born with one leg who biked close to 400 miles when no one believed he could. Firebird by Misty Copeland and Christopher Myers. 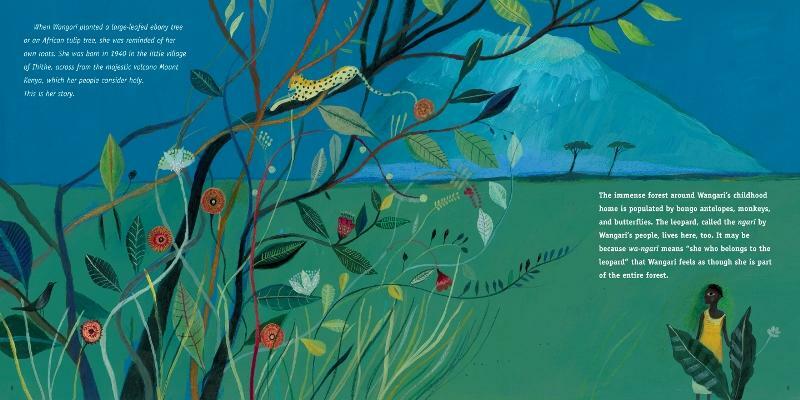 A gorgeous book told in second person as a kind of letter of encouragement to a young girl to follow her dreams, filled with fiery, vibrant illustrations. 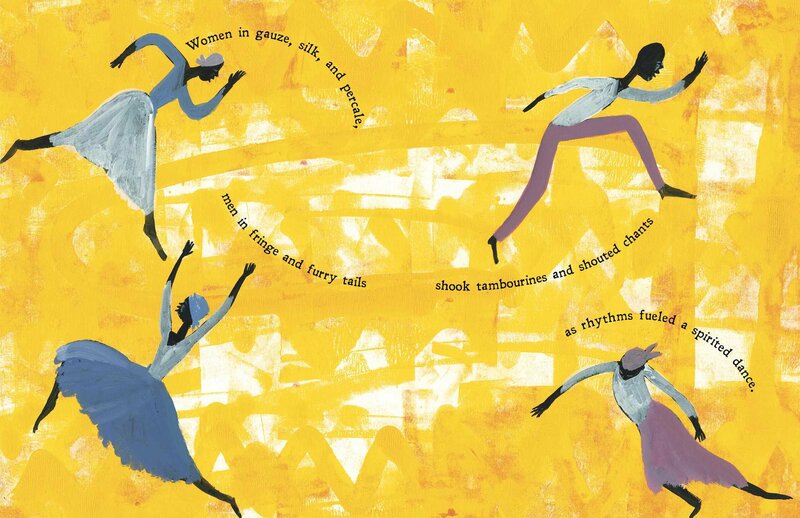 Swan: The Life and Dance of Anna Pavlova by Laurel Snyder, illustrated by Julie Morstad. Another special book about dance and finding your passion, pursuing it despite obstacles and through practice, and sharing its joy with others. You can read my interview with the author here. Grace Hopper: Queen of Computer Code written by Laurie, Hallmark, illustrated by Katy Wu. You might be interested in another post: Knock Your Socks Off Non-fiction Picture Books about the Natural World. One year, I made a picture book gift guide for grownups. This year, I wanted to share recent picture books that could be read by the young, the grown, or a combination of the two. Perhaps you’ll consider them as gifts for a family that has both! These are books that can be appreciated for their art, their history, their inspiration, their windows into human experience. Picture books with adult appeal! And several of these are among my favorites of 2016, which I’ll make a note of. Here goes (in no particular order)! And I hope you’ll add to the list in the comments. 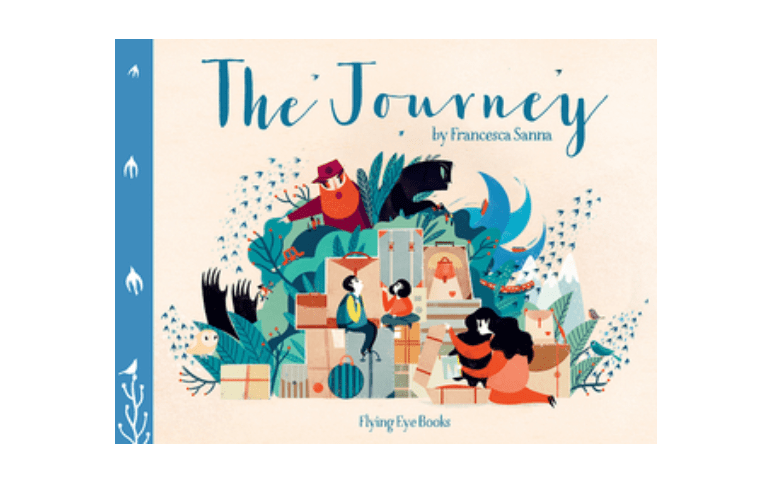 The Journey by Francesca Sanna (*one of my favorite books of 2016). 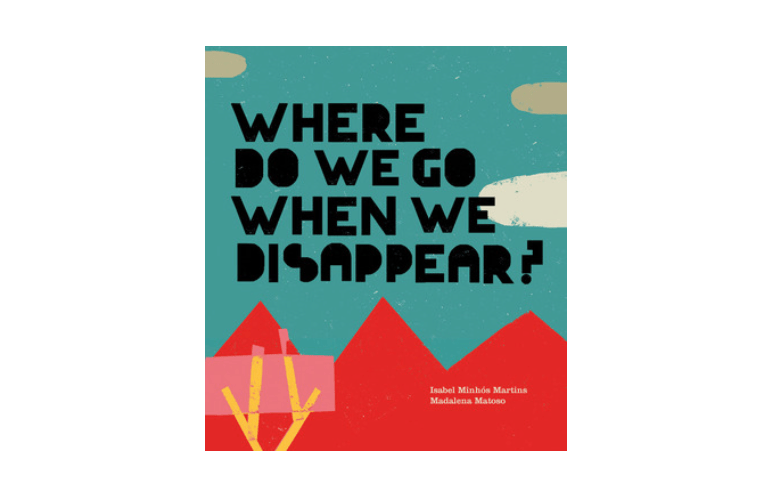 This is a story of a family seeking refuge when displaced by violence, based on interviews the author-illustrator collected. The way Sanna uses darkness to both illuminate and shield us from the terrible things that happen is gentle and effective. And she weaves in whimsical fantasy elements in a way that feels like an offering of hope. 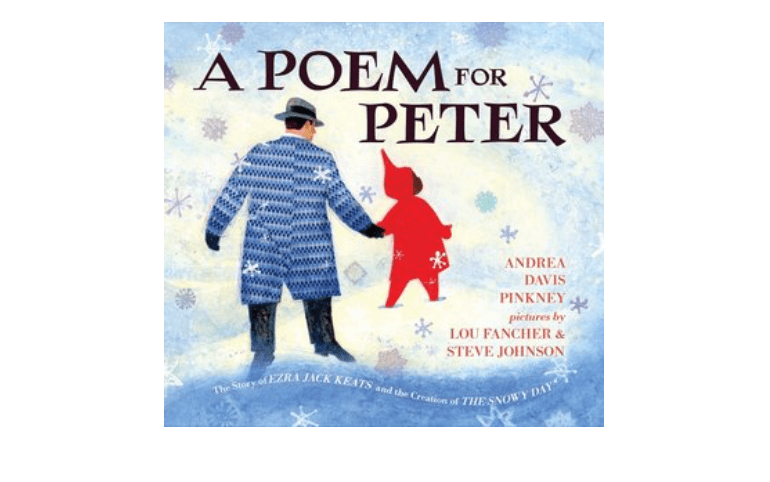 A Poem for Peter by Andrea Davis Pinkney, pictures by Lou Fancher & Steve Johnson (*a favorite from 2016). A perfect tribute to The Snowy Day (1962), to its author-illustrator, Ezra Jack Keats‘s life, and to its main character, Peter, who was based on a newspaper clipping of a little boy that Keats kept for twenty years. This is indeed a poem for Peter and for all the children who saw themselves reflected in him for the first time. 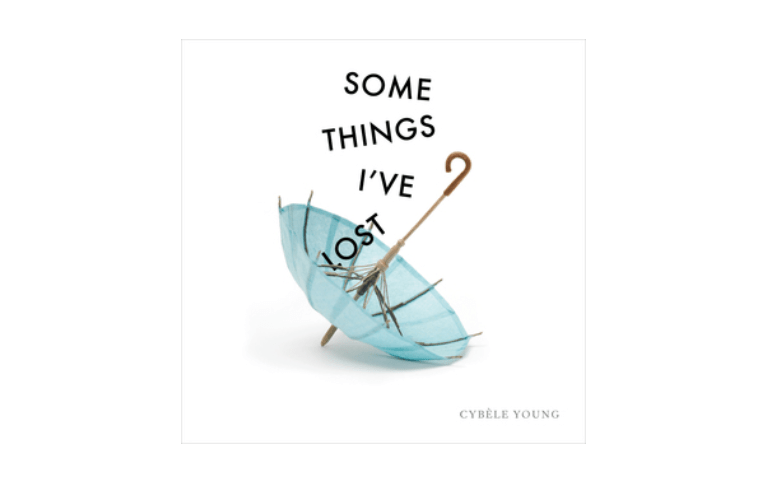 Some Things I’ve Lost by Cybèle Young (2015). This is a a bit hard to describe. It’s a catalogue of lost everyday objects that, when each page folds out, we find transformed into something else, something that resembles the original object but is now magical, one of Young’s exquisite paper sculptures. An imaginative gem. Du Iz Tak? by Carson Ellis (*a favorite of 2016). A book that feels truly original, truly new. I mean, invented bug language! But those silent musical interludes are just as mesmerizing. The Singing Bones by Shaun Tan (*a favorite of 2016). 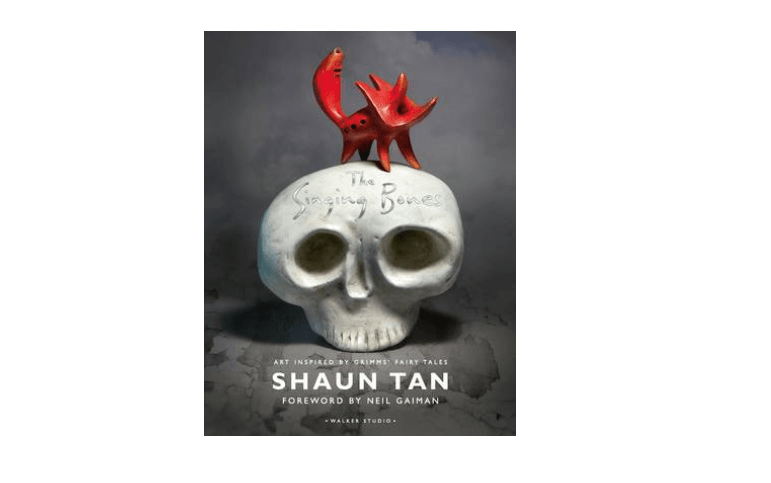 I’ve never read a Shaun Tan book I didn’t love, and this newest project (though a departure) is no exception. Grimm’s fairy tale synopses paired with Tan’s sculptures—strange, wonderful, haunting, powerful. 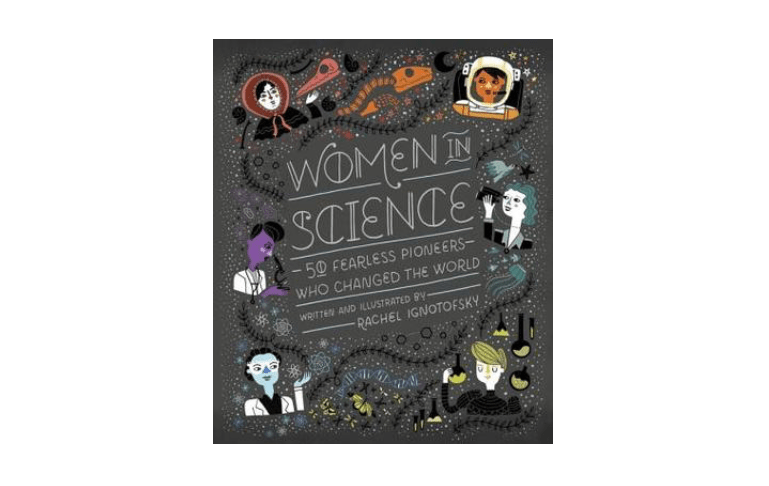 Women In Science by Rachel Ignotofsky (2016). Admittedly, I haven’t read this one yet, but I wanted to include it because it seems a perfect fit. Illustrations! Women! Science! Yessss! Out of the Woods by Rebecca Bond (2015). 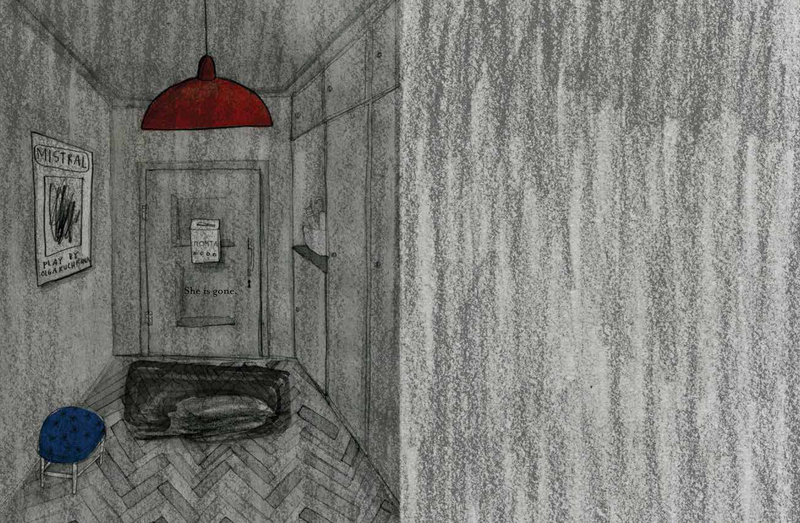 A boy lives at the hotel his mother runs in the woods of Canada, home to lumberjacks, trappers, and miners. That boy is the author-illustrator’s grandfather. This is his story, specifically of a day in 1914 when a fire broke out, threatening the hotel and the forest, and everyone retreated to the lake. People. Animals. The boy, Antonio. Together. This book is wow, told and illustrated in a perfect way to suit itself. 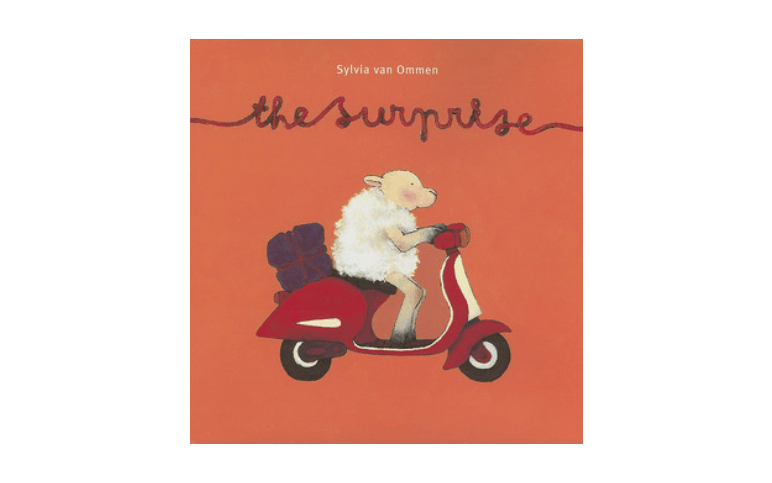 The Surprise by Sylvia Van Ommen (2007). This is such fun! It has style and humor and, you guessed it, the whole wordless book ends in a surprise to try and predict along the way. 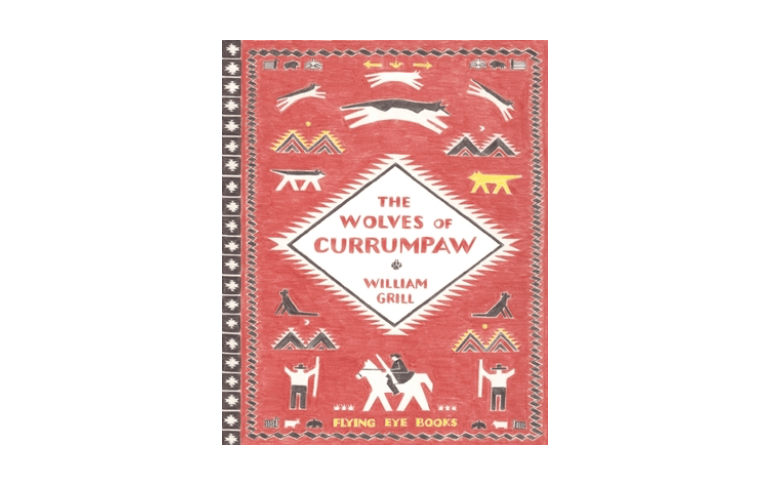 The Wolves of Currumpaw by William Grill (*a favorite of 2016). A gripping true tale—of a legendary wolf and of a man who had the capacity for change. It is only through a great undertaking and mistake that Ernest Seton Thompson learned to value wolves and protect them. It is by reading this heartbreaking story of Lobo the wolf that any reader will value and want to protect them, too. Wangari Maathai: The Woman Who Planted Millions of Trees by Franck Prévot, illustrated by Aurélia Fronty (2015). This is a wonderful biography of Wangari Maathai, including her early life and struggles with opposition in creating The Green Belt Movement. The illustrations are breathtaking . 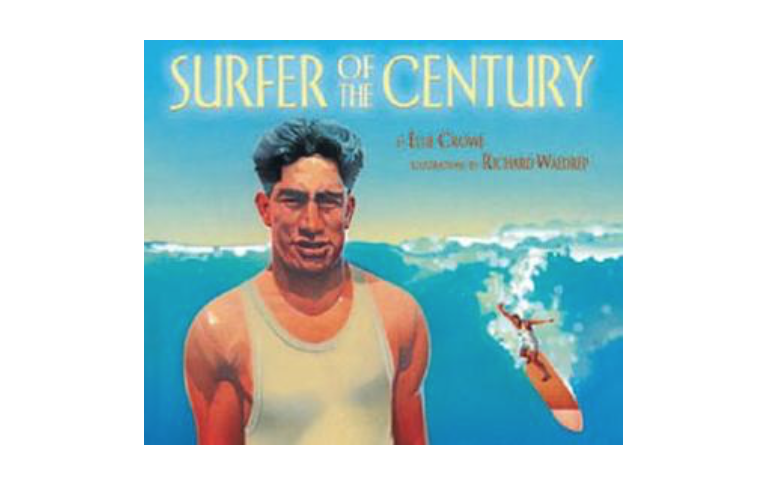 The Surfer of the Century by Ellie Crowe, illustrated by Richard Waldrep (2007). A fascinating and inspiring biography of Duke Kahanamoku, an Olympic swimmer considered the father of modern surfing who introduced the Hawaiian sport to the world and demonstrated grace in the water and on land. What Is a Child? by Beatrice Alemagna (*one of my favorites of 2016). Alemagna explores what it’s like to be a child in a way that honors children and their experiences. 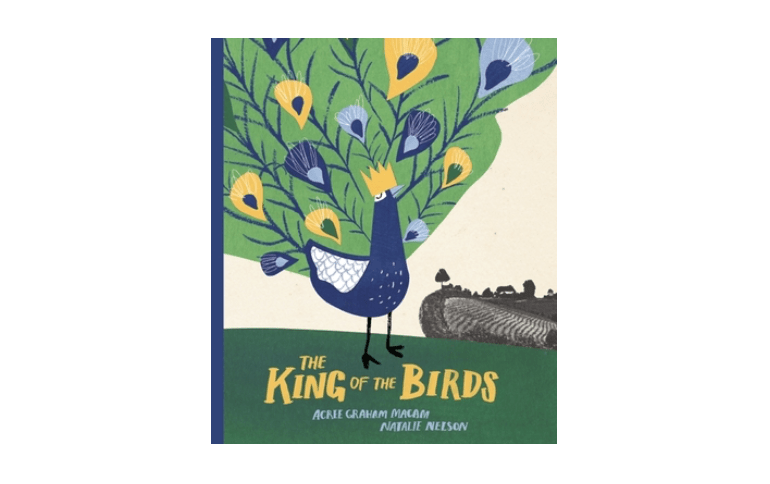 The King of the Birds by Acree Graham Macam and Natalie Nelson (*a favorite of 2016). An imaginative take on Flannery O’Connor‘s life as a child and a biography of her birds. The voice, the collage art, the peacock, the pink cake, the zingers—all inventive and charming. 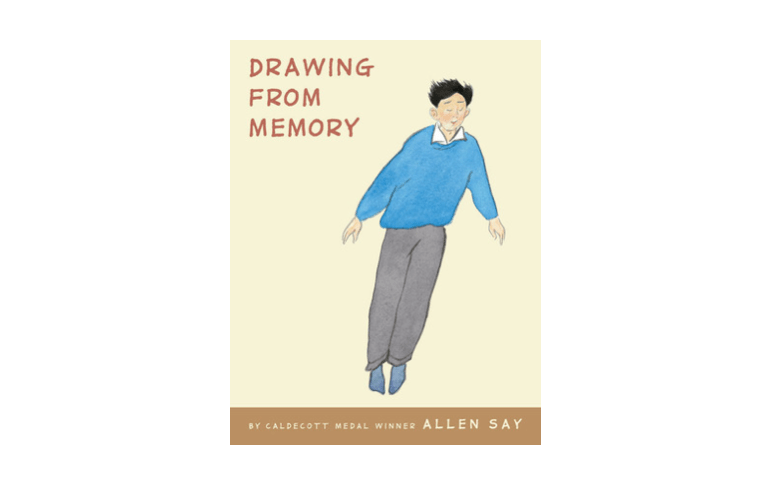 Drawing from Memory by Allen Say (2011). 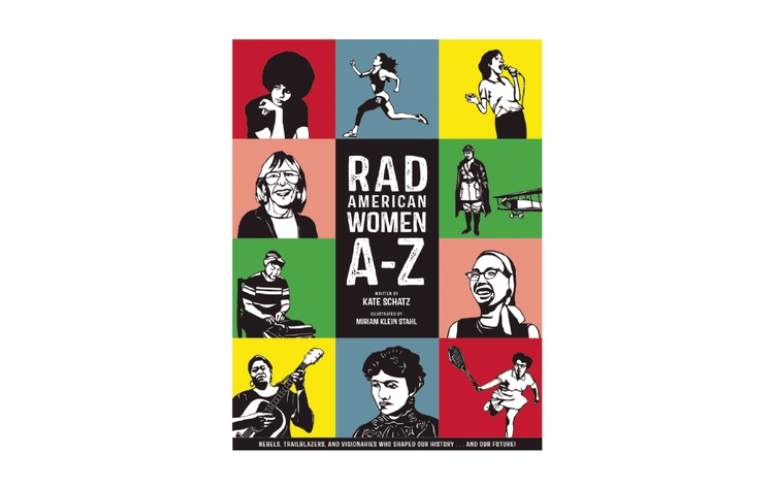 Say’s illustrated biography is for anyone who loves to draw, who loves comics, or who has had a teacher that mentored them and made everything possible. Like Say’s stories and fiction, his memoir brings me to tears. 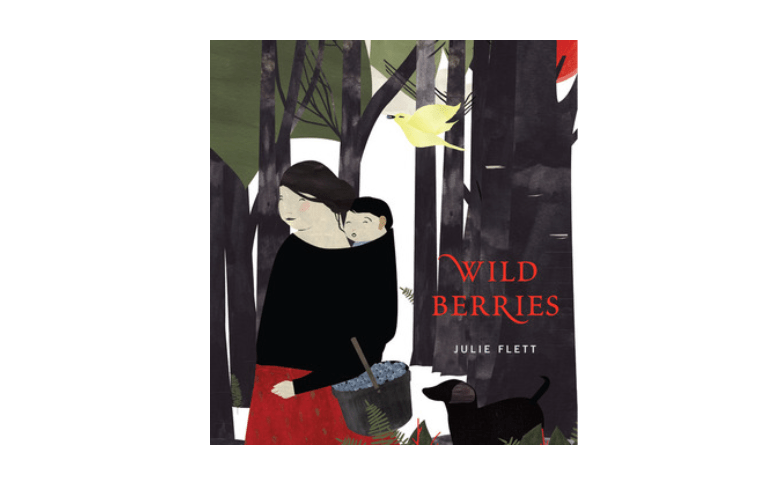 Wild Berries by Julie Flett (2014). 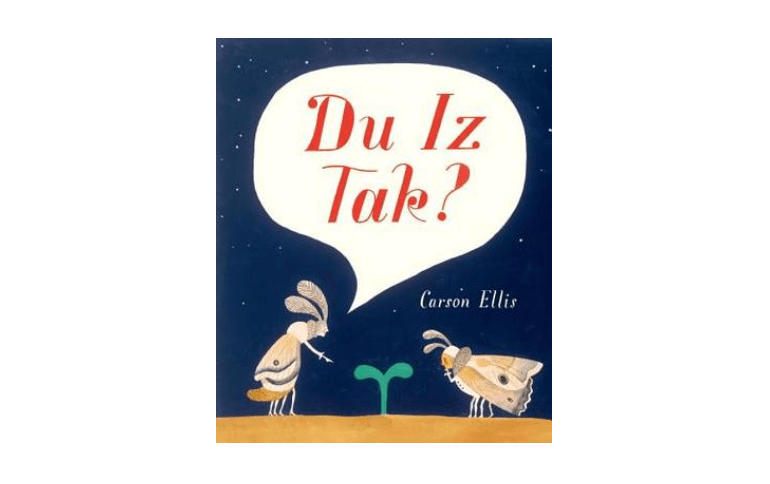 This one is beautiful—the art, the story of a grandmother and grandson picking blueberries together, the evocative details, the use of bilingual vocabulary from a dialect of the Algonquian Cree language. My favorite part is that the pair thank the clearing when they leave it (as well as the recipe for blueberry jam at the back). The Sound of All Things by Myron Uhlberg and Ted Papoulas (2016). 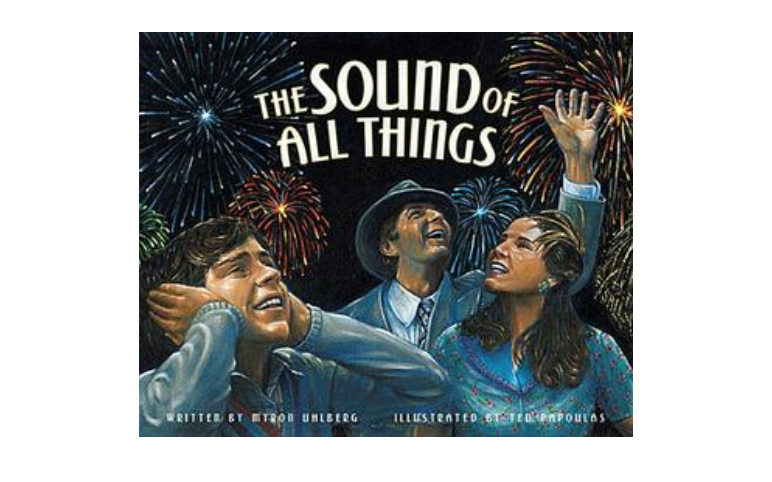 A memoir of a hearing child and his deaf parents on a day spent on Coney Island in the 1930s. A boy describing the way things sound to his father, and, eventually, turning to the library and literature to find the tools to do so with tenderness and precision. 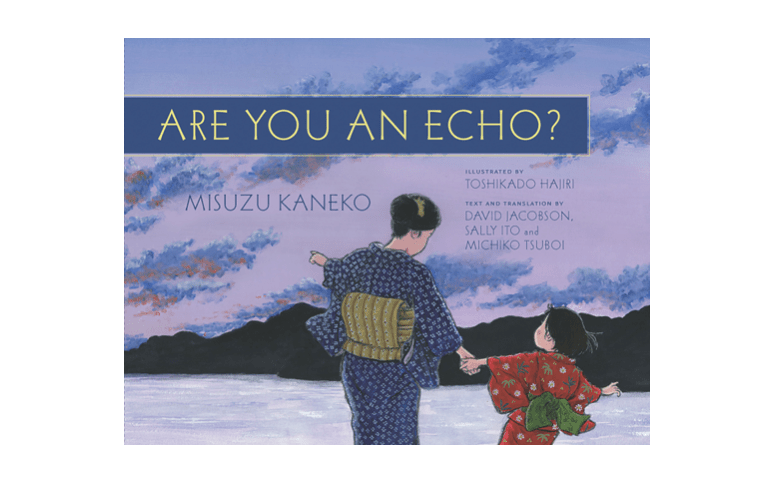 Are You An Echo? by David Jacobson, Sally Ito, & Michiko Tsuboi, illustrated by Toshikado Hajiri (2016). A poignant biography of Japanese poet, Misuzu Kaneko, that gives us her poems following and weaved into her history, which was both remarkable and difficult. Her poems are distinguished by their empathy for everything, even like in the spread above, her empathy for snow. It’s a treasure of a book. 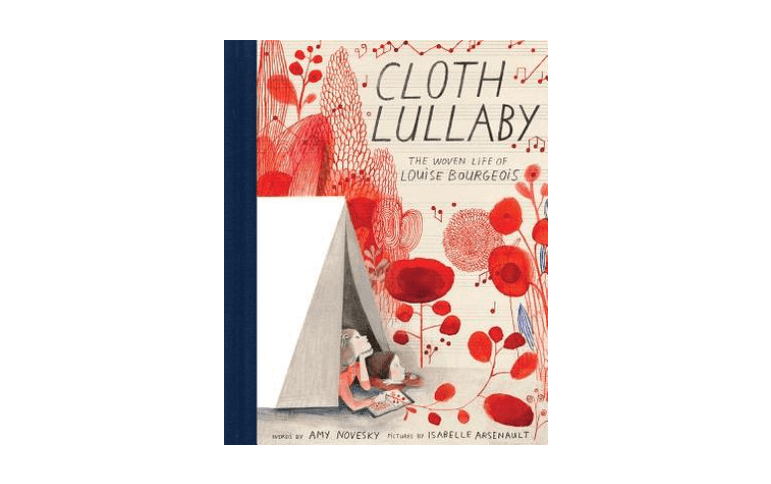 Cloth Lullaby by Amy Novesky, pictures by Isabelle Arsenault (*a favorite of 2016). A biography of the artist Louise Bourgeois that is as captivating in words as in pictures (and combines two of my favorite artists in the same book). 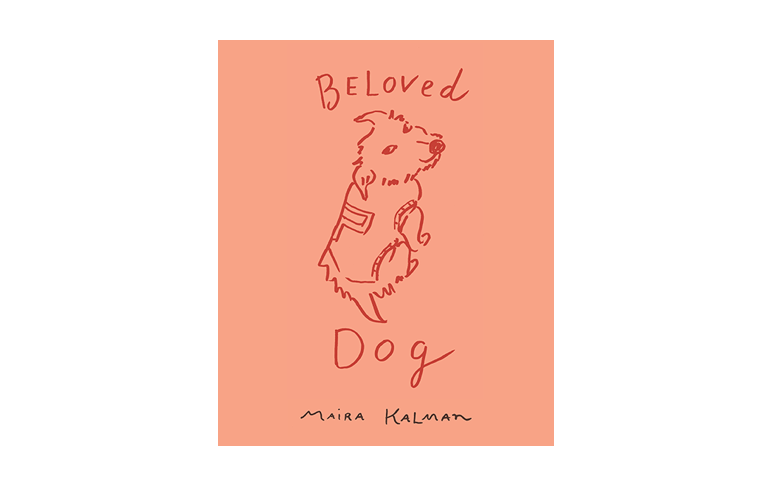 Beloved Dog by Maira Kalman (2015). A tribute to and compilation of dogs in Kalman’s life and work. With her signature bold and wonderful paintings and handwritten notes, she tells her own history with dogs too, from fear of them to finally getting one after her husband passed away. 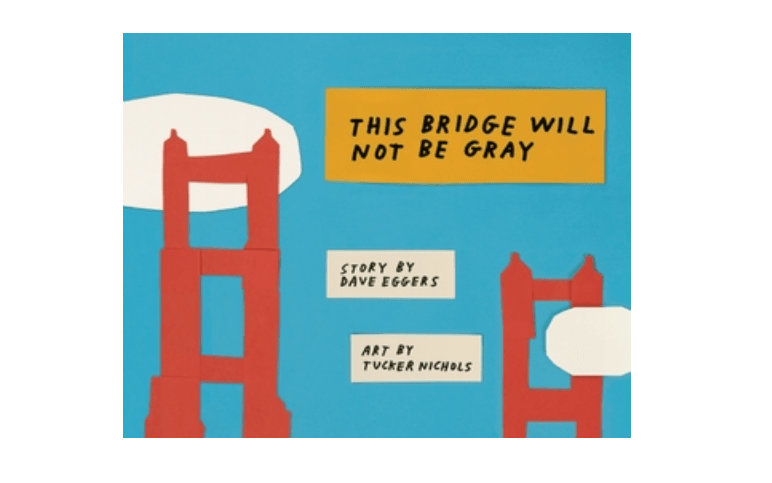 This Bridge Will Not Be Gray by Dave Eggers, art by Tucker Nichols (2015). This one’s a love letter to The Golden Gate Bridge, the amazing things humans make, to collage art and color, and to caring about something that will have a daily impact. 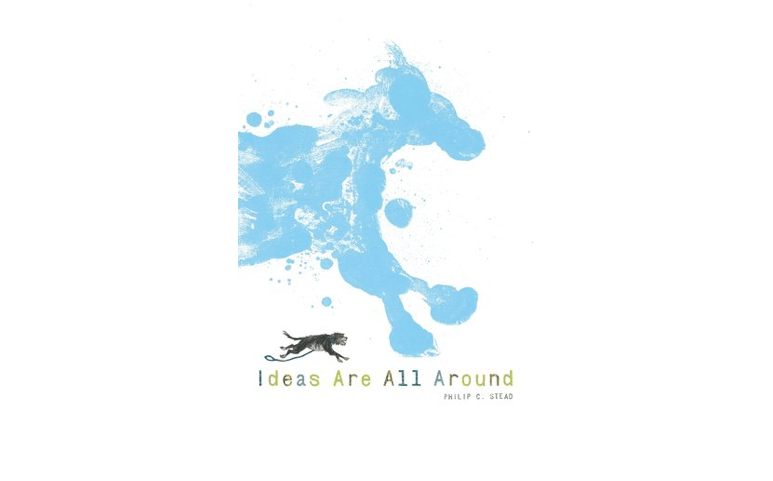 Ideas Are All Around by Philip C. Stead (2016). A book about the artistic process. And walks. And neighbors. And war. This is how one creates, isn’t it? By collecting ideas in your little corner of your world. By caring about people and problems and what’s going on big and small. By chasing the beautiful, mundane blue horse made from spilled paint on the sidewalk. By noticing it. Any to add to the list? Please share! Lucy by Randy Cecil (2016). This book reads like an old-timey movie, in a very good way. Spotlighted moments. Text that accompanies the illustrations, but feels like captions, almost like the title cards of silent films. Just look at that lamppost on the cover and the illustrations—grainy black and white. And then there are threes. A girl. A stray dog who was not always a stray. A juggling father. Three mornings. Three flashbacks to life before. Three times on stage. Three characters who come together in the end in the most wonderful way. 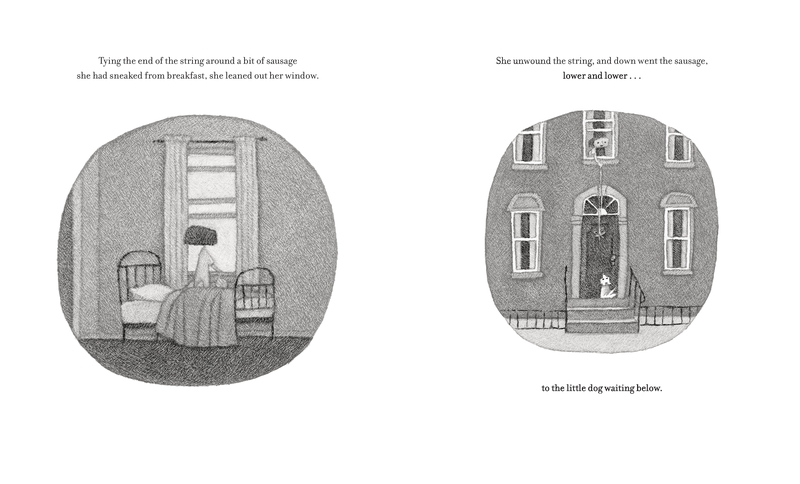 First, we follow Lucy the dog through town, all the way to the girl, Eleanor Wische’s house. Eleanor attaches sausage to a piece of string and lowers it through the window to where Lucy waits. This feels like a magic trick and relates to the father, Sam, who is a juggler, its own kind of magic. The dog is the girl’s secret. Juggling is the father’s—every time he unveils it, his hands don’t work. Lucy the dog has secrets too: her sneaks into the butcher shop to steal a snack, her untold memories of her former life. 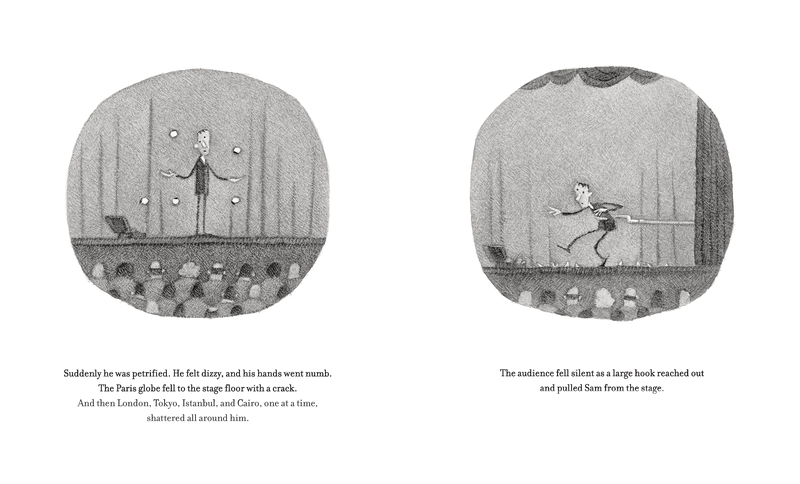 As for how juggling made its way into the book, it definitely has nothing to do with my ability to juggle, because I can’t juggle at all. I probably had the idea of a vaudeville environment first, because I thought it would be visually interesting, and because of all the fun acts I could potentially come up with. So I wanted a character that aspired to be a part of that world. And I naturally have a lot of empathy for anyone trying to make a career in the arts, and felt very comfortable writing about that. Juggling is just a lot more fun to look at than images of someone writing or drawing! There is also a great deal of searching in this book. A dog searches for a girl. A girl searches for a dog. Sam searches for a way to perform in front of people without fright. And in the end, they find what they are looking for at The Palace Theater in a show that brings all the story strands together. And then they all go home. They find home. 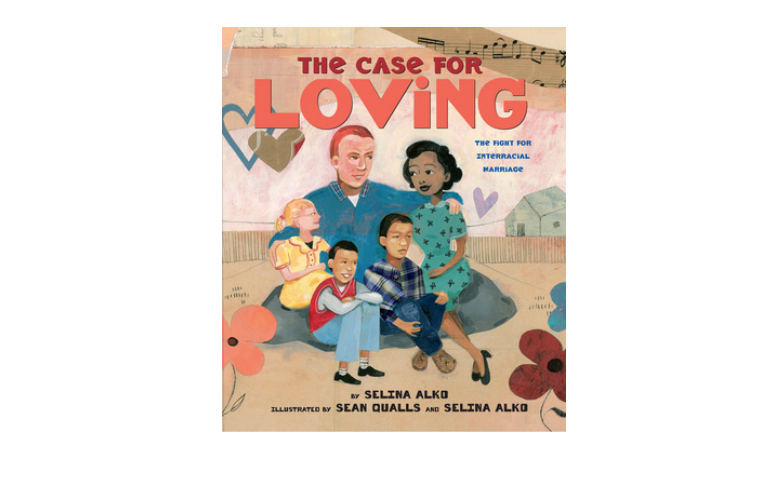 Big thanks to Candlewick for images and Randy Cecil for quotes! LUCY. Copyright © 2016 by Randy Cecil. Reproduced by permission of the publisher, Candlewick Press, Somerville, MA. I thought it would be fun to watch some juggling in the spirit of Cecil’s Lucy and then, perhaps to try some ourselves. Sounds like a pretty good summer activity for kids. Francis Brunn’s sister Lottie was also a wonderful juggler (as showcased in this dreamy video)! I find this one mesmerizing. Anthony Gatto, retired, is one of the world’s best jugglers and performed in Cirque du Soleil. The skill and excitement of this performance is extraordinary. A Year Without Mom by Dasha Tolstikova (October, 2015). 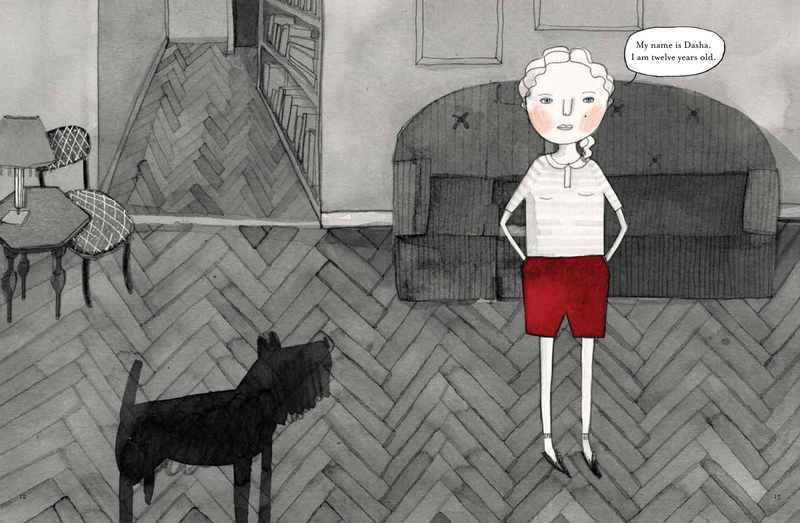 I’m a huge fan of Dasha Tolstikova’s illustrations (see: The Jacket; see: her website.). And this new book is a wonderful showcase for her art and storytelling. 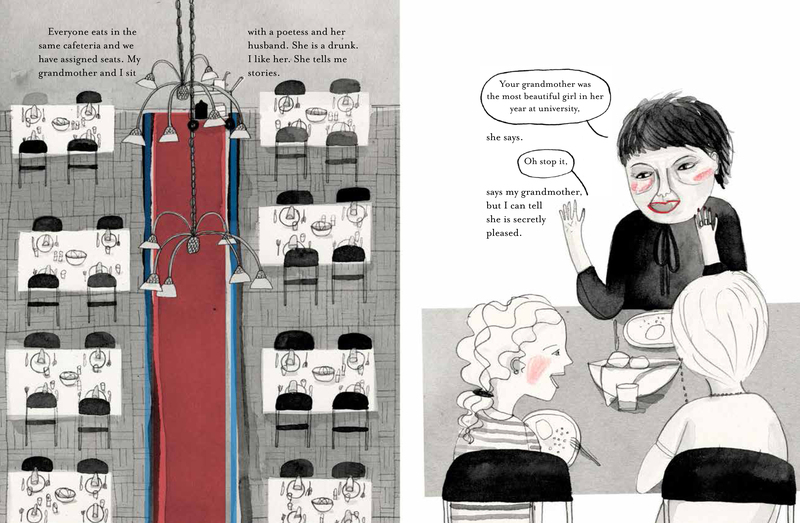 Kind of a middle grade graphic novel, A Year Without Mom tells the story of Dasha’s 12th year in Moscow, the year her mother leaves for America to attend school. If you loved Jane, the Fox and Me, I think you’ll love this book too. It’s one girl’s growing up, with specificity of characters and moments and friends and feelings. Swan Lake on the television during political unrest. A trio of friends and the worries of feeling left out. School. Slights. Worries. Insecurities. Spurts of joy. New discoveries. Cold, cold Russian winter. Dasha’s crushes: Petya who’s the coolest ever as well as the nice guy who’s always there in art class, Maxim. The whole book so beautifully captures the pre-teen and early teenage years, moreso perhaps because of the absence of Dasha’s regular caregiver. Every event is infused with the swings and sways of adolescence. But it all adds up to something wonderful to read and behold. Something true about childhood and change and resiliency. About how the way we grow up shapes us even as we have no idea we’re being shaped. About how children need an anchor, like a mother, in the midst of the turmoil and mundaneness of everyday life at school. About how our stories are our own. The book begins and ends in two entirely different places, but with the same girl, with the same name, with the same pink cheeks. That girl’s going to be okay. 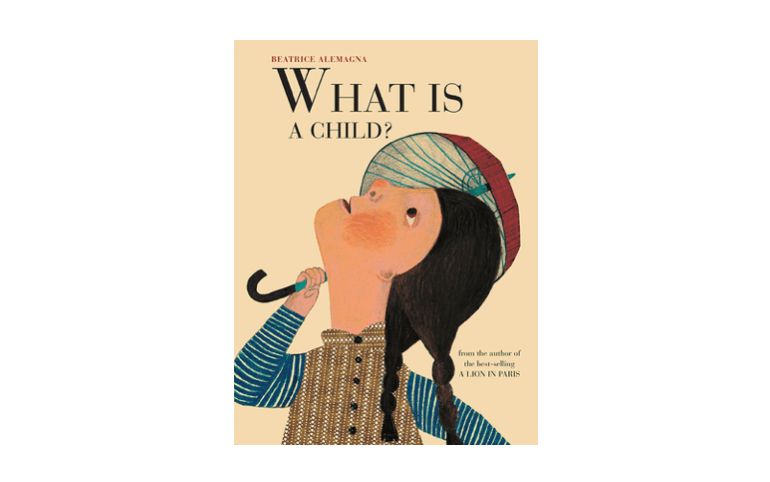 This Picture Book Life: Can you tell us about how you’d classify this book in terms of memoir or fiction or combination of both? Dasha Tolstikova: I was actually just asked today by the Swedish publisher of AYWM (what?! A Swedish publisher? I know! I am so excited!) whether I would mind if they refer to the book as a graphic memoir – which I think is very interesting. But really it’s a combination of both memoir and fiction – real life events and situations are a jumping off point – my mom DID go to America to study, I DID stay with my grandparents, I DO have best friends named Masha and Natasha – but there are also some places where things are exaggerated to move the plot forward. TPBL: When did you have the idea and how did that turn into a graphic novel/lengthy picture book for Groundwood? DT: The book started out as a graduate thesis project while I was at the School of Visual Arts. 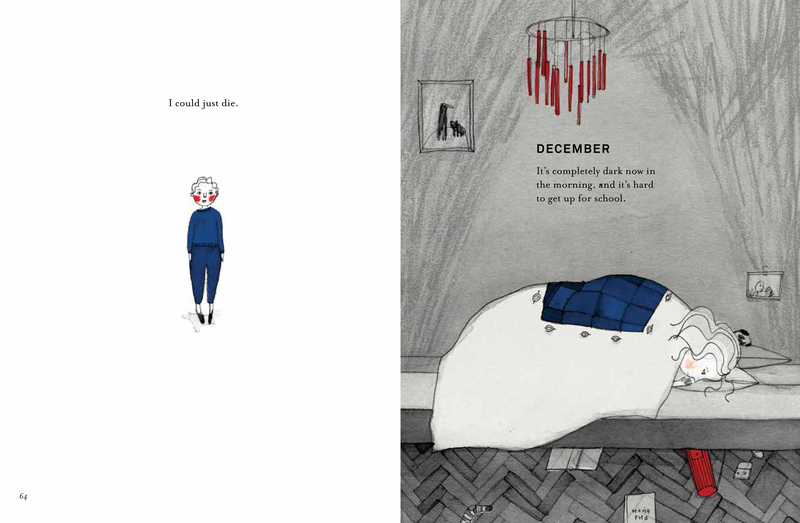 I had come across another Groundwood book actually, called Harvey, and became obsessed with it and its format – a picture book novel about a boy who comes home to find out that his father has died – and wanted to immediately make a book like it. It felt right to base it on a story that happened to me. I knew that I wanted it to be for older kids – so a story that happened when I was twelve seemed appropriate. And I also knew from the beginning that I wanted it to be a long book. My first dummy was 212 pages and I had thought I would be able to finish the whole book in six months for our graduate show (hahahaha) – but then only completed the first chapter. Sheila Barry, the wonderful Groundwood publisher, found my work online about a year after I graduated and thought it might be the right fit for them – obviously I was thrilled – I had felt (hoped?) like I was making it for Groundwood all along. And it was incredible to have someone in my corner while I DID finish the whole thing – it took two years – I scrapped everything I had done at school and started the art from scratch. TPBL:The illustrations in A Year Without Mom are fantastic. This may sounds simplistic, but I love the variation in pages. You use white space, then a spread filled up with gray. You vary your composition to great effect so that we’re kind of zooming in and out with different page turns, seeing details then people then settings. Can you talk about your process and vision with illustrating a lengthier book like this? DT: Thank you so much! I really wanted every illustration to be emotionally meaningful, but also to be coherent and to move the story along – so I spent a lot of time thinking about individual compositions, but also about the flow of the book as a whole. I made a lot of really haphazard dummies and also these crazy diagrams – almost like shot lists for a movie. TPBL: What’s your medium and who are some of your influences? DT: I draw with a mechanical pencil and use sumi ink washes on Arches Hot Press watercolor paper. For this book all the color was added digitally. Some of my illustration influences are: Anne Herbauts, Beatrice Allemagna, Laura Carlin, Marc Simont, The Provensens, Zach O’Hora, Isabelle Arsenault, Hadley Hooper, David Roberts, Tomi Ungerer, Carson Ellis – I can keep going for a long time…but then there are also fine artists and novels that I read and movies and everything around me all the time. TPBL: How much American popular culture was part of your growing up in Moscow and what was your relationship to it? My friends and I were actually pretty snobby about American pop culture when we were growing up – and I wasn’t super excited to move to the States – but I don’t even know what we were basing our opinions on – it’s not like we had a lot of exposure to it – we did read a lot of classics (Dickens and whatnot) and there was a sort of cult of England when I was growing up – so maybe America seemed in opposition of that somehow? But also maybe we were just bratty children. But then there were American movies – which we LOVED – they screened a lot of old movies in movie theaters and we went frequently. After I moved away Masha continued to go on her own and eventually studied to be a director of photography in Paris. They did broadcast soap operas and I got really into Santa Barbara as a child – when I moved to the States I was SO EXCITED to find it on TV – except of course the episodes they were showing in Russia were from much earlier seasons and none of my favorite characters were even on anymore. TPBL: I assume you were 12 or so years old during the coup against Gorbachev. Did life change after that? TPBL: Can you tell us what happened after the book ends in terms of your own life? Did you really only stay in America for one year and then go back to Moscow? What about Maxim?! What is your story of moving to America and that adjustment? The adjustment of moving to America is something I am toying with as a subject – I feel like it’s such rich material and then also MIDDLE SCHOOL! TPBL: The book is an entire year in which the character’s mother is abroad. How do you think that changes life for a twelve year old? What does one miss out on and what does one gain from that kind of experience? DT: You know it’s hard for me to say – because this was my actual experience I can only speak to how it affected me – I think I grew up a little faster – but who knows what would have happened had my mom NOT gone to America, it might have all been the same, or entirely different. I generally feel like ALL experience propels us forward – it’s all it can do really – bad or good – so I think I tend to think of things that happen to me as stories – so this happened and then that – and it wasn’t good or bad it just happened and now I’m THIS kind of person – it’s sort of a positive sum game. TPBL: Finally, your opening is this really interesting technique of almost a prologue, then a visual introduction to the setting and main character. That prologue is: “Once, when I was very small, I bit my mom’s finger.” It takes quite a few pages for us as readers to hear about that occasion. Tell us about why you used it to frame the opening and what it tells us about the character of Dasha. DT: I wanted something that highlighted the relationship between the mother and the daughter immediately. It’s also a real thing that happened that I remember. I was about three and mom was feeding me a tomato and I bit her finger really hard – not on purpose – the tomato was just really good. Big thanks to Dasha for talking to us and for providing images!